Party walls are typically found in semi-detached and terraced houses. Any works that affects these walls can result in serious structural problems and inconvenience to neighbouring properties. There are certain rights and responsibilities that homeowners and landlords must consider when doing any construction work that might involve the modification or construction of a party wall. These rules are in place to ensure neighbours are involved in the planning of major works, and protected if something goes wrong. A party wall is used to separate properties that belong to different owners. Party walls might be found between semi-detached and terraced houses where one or more walls are shared between neighbours. 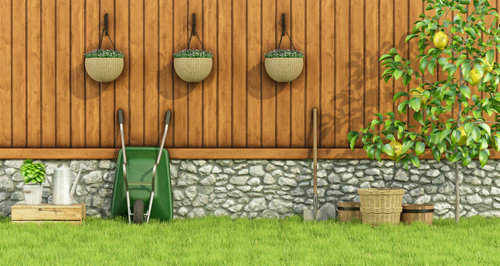 A party wall can also include a garden wall that is built on the boundary between properties. In these cases the wall is known as a party fence wall, although timber fences are not included. Only a wall that is used by both properties is considered a party wall. For example, only the shared portion of a wall between two buildings of different sizes is a party wall. The rest of the wall belongs to the owner of the land where the wall rests. Neighbours who share a wall will be impacted by works, even if they are restricted to one property sharing a party wall. Keeping neighbours informed and involved in the planning of a project will help minimise conflict and inconvenience that can delay and even derail a home improvement project. The Party Wall Act protects homeowners and their neighbours when undertaking home improvements. In addition to party walls, the legislation also covers a party structure such as a floor or wall partition and other structures separating buildings or parts of buildings, for example flats. By law, neighbours must be given notice before any work begins close to the boundary with their property. Not providing notice to neighbours can delay a project and may result in costly fines. Notifiable works include building work that affects the party wall or the boundary line, and any excavations within three to six metres of an adjacent property. Any works governed by the Party Wall Act require notice to be given to neighbours at least two months before works begin. Notice must be given at least one month in advance of excavation works. As a general rule, most extensions, basement conversions and loft conversions will require notification. Notifying neighbours is generally required when constructing a new building on or at the boundary of two or more properties, undertaking works on an existing party wall or party structure, and any excavation work close to and below the foundation level of neighbouring buildings. Examples of works include building a new party wall, knocking down or rebuilding an existing party wall, changing the height or depth of a party wall, cutting into a party wall, and removing chimney breasts on a party wall. Digging below the foundation level of a neighbour's property, for example when converting a basement, is also covered by the Party Wall Act. Failure to provide notice to neighbours can result in legal proceedings. A neighbour can take you to court and obtain an injunction to prevent further work, all at your expense. If you do not notify neighbours and there is loss or damage as a result of your work, a neighbour can seek compensation. If notice is provided in accordance to the Party Wall Act and something goes wrong, a dispute can often be resolved by surveyors rather than through the courts. You can serve notice to neighbours by writing a letter. Information on how to write notifications and other information about the Party Wall Act is found in the government's Party Wall guidance. Alternatively, homeowners can hire a surveyor or other professionals to serve documents to neighbours. The Royal Institution of Chartered Surveyors (RICS) can assist with locating a qualified surveyor. Notices should clearly identify the planned start date for works and include any relevant drawings. Notice should be given to freeholders and leaseholders. If there is any doubt on who owns neighbouring property, consult with the Land Registry.